One of the most common things we hear from people who start training with Static Contraction is how difficult they find the training frequency. Not because it’s frequent, but because it’s infrequent. Everyone has been bombarded with “three times a week” for as long as anyone can remember. Even medical doctors will repeat the advice, ‘do strength training three times a week.’ Also, many people spread the gym myth that “muscle starts to atrophy within 48 hours of a workout.” So trusting people have a mental vision of their muscles drying up and withering to insignificance if they don’t get back to the gym every couple of days. But when it comes to conventional weightlifting you don’t have a clue whether today’s bench press of two sets of 14 reps with 185 lbs in 3.8 minutes is an improvement or regression from two days ago when you did two sets of 16 reps with 180 lbs in 4.1 minutes. (Bad news, the second workout regressed in both momentary and sustained intensity – therefore your body has no reason to grow new muscle after today’s exercise.) Oops. Wasted trip to the gym. Again. When people stop strength training blindly and use measurements to see whether a workout was productive they notice something – you can’t train three days a week and make steady progress. Oops again. Everybody was giving you dumb advice all these years. In fact, those wasted workouts just make it harder for your body to fully recover so it can grow. Which robs you of progress week after week. Sound familiar? 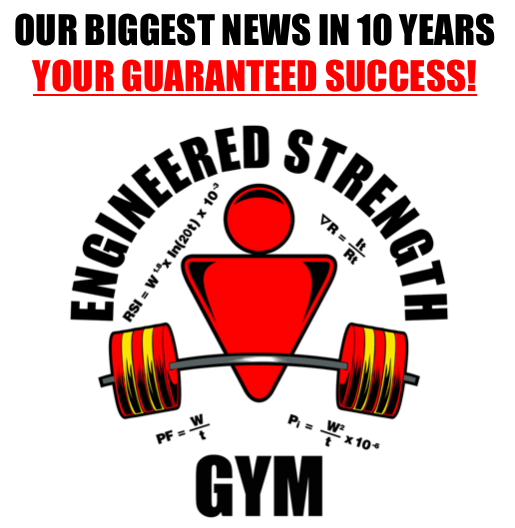 I’d like to have a bunch of comments below this post where people training with Static Contraction or Power Factor report how often they workout at stages of their strength training. This would really help the newbies who are having a hard time believing it’s actually smart to stay out of the gym. Jump in, this is a friendly place. Please tell us, how often are you are training and still seeing improvements? Previous Post What Is Your Time Worth? Next Post What is Your Diet? I used to do SCT and it worked well. I’ve switched to the “martial-art” body type B workout with reps. But yes, I do my best to up the weights on each exercise from week to week. I’ve plateaud somewhat but I have steady progress strength/size gains…mostly strength though. Thanks. How often do you train? I had to stop training because of back surgery. I really don’t know how I injured it. I do a lot of heavy lifting while I work. My doctor released me a couple of days ago and told me I could slowly return to my workouts. I was told to do partial reps instead of full ones to get the full benefit and reduce injury. I never mentioned static contraction. That was a “aha” moment for me. I train an average of about once a week,and around 10 minutes training,most of that time is setting weights up.I currently use SCT alpha routines.With no muscle or strength loss. You’re absolutely right,Pete! Less is more! Former powerlifter and personal trainer(45 years)and 65 years old. You CAN’T make progress UNTIL you’ve recovered from your previous workout. As one gets older, the rest periods have to be a little longer. Keep up the great work and good luck on educating the masses! Gym once a week for about 15 minutes and eat like a horse in between. Sometimes I wait two weeks if there is still a bit of stiffness. So yeah.. I really love this program! What if you split the workouts into, say 4 or 5, instead of 2 ( A and B)? You see I don’t mind going to the gym; it breaks up the monotony of the day for me and I enjoy it quite a bit. I don’t go to the gym to socialize but to be alone with myself, sort of. I do the Power Factor and in the beginning I followed the schedule pretty strictly where I was working out about once a week. Then I really missed working out so I split the workouts into like 2 or 3 body parts every 2 or 3 days. I’d like to know how you feel about that. Thanks. I appreciate your work. You could do that. But you are, as Mike Mentzer used to say, “taking a social need and elevating it to a training system’. If your primary objective is to spend time alone in the gym then you would have to find a way to go frequently when you don’t really need to. You could do 10 exercises on 10 different days but eventually that won’t bring gains because you won’t recover overnight. Then you’ll have to skip the gym. Or do an unproductive workout. That’s what many people do. Haha. If you must go the the gym frequently just don’t pick up a weight. Do something else. Pete, you are right, it is like doing mini volume training routines. Whats the point, right. I started with SCT about 2 years ago and as my strength increased I’ve increased the time between workouts. I got to the point where I couldn’t use most conventional gym equipment because I needed more weight than they could allow. I’ve switched back to strong range partials using three minute timed sets for each of the major areas. I alternate between the A and B workouts and am currently waiting 10 days between. That means that I’m almost going three weeks between workouts for the same muscle groups. It was really hard to get used to that and not think that my muscles were withering, but in fact I keep getting stronger. Each time I go to the gym with my notebook and goals, I’m increasing what I did the last time either by weight or number of reps in the three minute period. I think of everything I’ve learned from you, the frequency is the most valuable lesson. This principle works no matter what kind of weightlifting system you employ (SCT, Power Factor, conventional full range, etc). For anyone who’s not sure about this, I am living proof of these concepts. At 55 and a solid 215 I pretty much thought my bodybuilding potential had been reached.When I met Mike Mentzer out in CA back in ’97, and as a phone client of his, he had been pushing me to start training on his new consolidated routine, ie, once a week. Never would allow myself to go that far. For years I’ve trained 2X weekly, half the body per. I now weigh 240 lbs. All of my training clients can see the huge difference even while wearing sweats. nuff said. man you were right on with this training. hoka hey challenge i am looking for sponsors the money i have left over goes to the wounded warrior foundation. also all those that will help sponsor me i will put your company or what ever you want on bike. I have used PFT before, was off it for a while, now I just started back up again. So I have had experience using it. After just starting up again, I had my first workout and felt great. I took 5 days off and had awesome results on my 2nd workout. I took 7 days off and my next workout was even better with 200% gains. I was getting impatient and only waited 5 days for the 3rd workout, and it was too soon. My numbers improved, but barely. Some even dropped. I’m now going to hold off for at least 7+ days. All I have to do is follow the numbers. I love it. I WAS WONDERING IF YOU KNEW HOW TO PROMOTE HYPERPLASIA WITH SCT….? SOME OF THE STUDIES INVOLVING ANIMALS, SEEMS TO SUGGEST THE USAGE OF THIS TYPE OF TRAINING, RESULTING IN THIS END. I was drawn to your training ideas ten years ago by two factors: 1) as a high school administrator, I didn’t have time to make it to the gym very often and 2) it worked. I am now 65 and retired, but I am stronger than I was in my 40’s. I have even earned the respect of much younger members of my gym because I am stronger and better defined than they are despite my age. I also want to mention that once a week in the gym does not translate to once a week in the bedroom. I’ve found that when I go to the gym (when it’s not conducive to gains in muscular mass)… Like Pete mentioned above, “Taking a social need and elevating it to a training system,”… The only thing that will not stagnate my continued progress would be to invest that trip to the gym on cardio. That’s one way to be able to hit the gym frequently and not screw up your continued progress. Just a suggestion. Excellent Post and well said! Long story short, I was in a motor vehicle accident in December, so heavy weights are not an option at this time, even in short range. So I improvise using the partials/holds/timed and less frequent workouts. Every workout I do progress. Perhaps the other side of the equation is conditioning. I would like to hear more from Greg on this one. Doing a strength workout once every 14 days and then being sedentary the other time may no be enough if someone has body fat to lose. I am a trainer and suggest my clients walk. They often ask me about high intensity interval training. That’s not a bad thing, but again, as Pete/Greg have said you have to now recover from that and is all that crazy stuff sustainable? If a person is truly natural (drug free/steroids etc), they can get phenominal results with the SCT protocols and a good brisk walk (1/2-1hr) several days a week, done in the gym or outside. I think the reason I sometimes dont make progress even doing the workouts once every couple of weeks is because I play soccer 3 times a week,I took 6 months off from the leg press then went back to it and beat my personel best which I suppose illustrates the point you are making! Also dose anyone experience this?… when I am doing a hold that results in a personel best at some point whilst doing the hold I get a feeling in the muscle like something has kicked in with the muscle fibers thats given me extra power! Its almost like you are pushing as hard as you can and you think that is as much power as you can generate then ping you get a bit more power from somewhere! Haha. That’s called an inverse ratio. Thanks, Harold. If you bought the Train Smart e-book you know that using a power rack is highly recommended, not to say mandatory. Also the arm exercises are in there. Could you swim or tread water? get involved in something that uses your body and helps other people like odd jobs for handicapped people or building homes for the homeless. Get to a Network Spinal Analysis doctor. I’m 59 years old (60 in July) and I find myself training more and more instinctively, these days. Since I suffer from lifelong sleep apnea (yes, I sleep with a machine every night), it takes me longer to recover from any workout, than a “normal” person. However, the gains I’ve made using SCT prove that the system does, indeed, work, even for someone like me. The main point is, I spend much less time in the gym than before and I feel much stronger as a result of that. Glad you’re making progress, but you don’t need instinct when you have meaningful numbers. Just ordered your materials but haven’t started yet so I am an absolute newbie to this type of workout. Just wanted your opinion on doing high intensity interval training between workouts. When doing previous workout programs I would do intervals on the days between my three times a week lifting days, taking the seventh day off for rest. Do you recommend doing any aerobic training in addition to the SCT workouts, and if you do, do you recommend increasing the duration of rest from say 3-4 days to 6-7 in order to promote muscle growth, or when just starting out, do you recommend just sticking to the 2 times a week schedule and not doing any aerobics? Okay, you guys are taking this in a strange direction. As I said I do not go to the gym to socialize. I enjoy intense workouts. I cringe when I see people in the gym hurdle up and b.s between their sets. It’s not a social need that I’m trying to fill. I don’t want to do 10 exercises on 10 different days. 2 or 3 days rest between workouts is twice a week at the most and that’s what I asked Pete about. So I spend less than 1/2 hr at the gym that’s 5 mins down the street (2 days max/week) but how much T.V. do you watch? You can go on and on. I don’t watch any T.V. I don’t even have cable and never bothered to get a digital converter box so I could just get the network broadcast. I’m a musician and artist. I’m plenty busy. I just happened to like working out and sought out Power Factor because if I was gonna do it I wanted to do it efficiently. yes,I always experience that.It is other fibers kicking in until they are all used up. If training frequently i.e. 4+ times a week (or even twice a week) is unwise why do professional footballers do this? 1. They’re on the juice and can recover faster. 2. They don’t care about efficiency, which makes sense in their situation. Thanks, Chris. Welcome to the world of SCT, You can do any additional activity you want to do. Just keep track of your SCT numbers and adjust your workout frequency so that you make progress on every exercise on every workout. Of course, the more you do on ‘off’ days means you’ll need more recovery but that’s fine. It’s also been said for a while that static stretches performed prior to exercise can leave the muscle vulnerable to injury, but professional footballers still do that as well. That might not be too much weight Frank just that maybe your form suffered. One thing I’ve found hugely helpful aside from getting used to/better doing the lifts is to tense my whole body before the lift so everything is tightly held in place by the muscles. Just take a few seconds to do this. It is a great injury preventer. Concentrate on squeezing your glutes together, tensing your abs, tensing your feet against the ground and gripping the bar or your hooks as hard as you can. This may also increase how much you can lift as it really fires up the nervous system. This method is what a lot of the old strongmen used instead of weight belts and other safety gear and said not only was it just as safe but it was also building a stronger body and a naturally very sturdly belt (as you may know this muscle actually exists in the abs as well, a girdle or belt). Right – I do use that strategy with every one of the 10 exercises in the program. And, I quit using a belt 25 years ago, with the result that my back got seriously stronger and more stable. My mistake was thinking that I hadn’t lost much strength, so only took off 100 lb (down to 405) from the last levels, but I reset the interval back to 5 days apart, down from 12 days when I stopped the program last time. By the time I had done the deadlift, shrug, and deadlift again with 415, I had a very nasty sting at the T1 vertebra, that took 4 months to finally heal. This time I started back at 385lb, but with a 10-day interval, and only used 10 lb increase in those two lifts. No over-training, with adequate time to fully repair – no injuries. My plan is to get past the 515lb level and then reevaluate the fear factor. I would love to see this aging runt of a body get to 600lb. I’ve also been tempted to try a max in the standard full range deadlift. It has been 5 years since I last did 285lb for two reps, and I bet I could hammer that now. SCT – the best strategy for building aging bodies in my opinion! I don’t think that it’s practical to expect progress on each workout. On ocassion,some days will be less productive than others; or,you may not be able to increase poundages for a week or so on some exercises. There are going to be ongoing periods of plateauing.Let’s be realistic; if progress is made regularly and or on every workout,eventually one would be benching 4000 lbs. – idon’t think so. Great posts really enjoy reading them and the comments by various trainees. I was wondering what you guys (Pete and Greg) lift on the various exercises at this given point in time? How often or infrequently do you gentlemen train? At this point in your own personal training have you reached what you would technically define your maximum limit in weight progression or are you guys still being able to successfully increase your bench, leg press, deadlift etc on a week to week basis? If not, how do you maintain? Same weight same 5 seconds or increase the time the weight is being held? It’s always great to hear from other trainees but I would personally really like to hear where you guys are in your training. One final thought, I’ve tried the seated and standing barbell curl as prescribed in Train Smart but for some reason the strain on my forearms makes the exercise extremely uncomfortable for me to perform. I tried replacing it with static holds on a lat pulldown using the max contraction straps to work the biceps but I’m running out of weight on the pulldown machine. I was wondering what alternative exercises could you recommend? For some reason doing a straight curl in the mid point and holding it there for 5 seconds just hurts my radius and ulna too much (surprisingly this isn’t a problem on any other movements) your advice on this would be much appreciated. Oh okay, fair enough. I’ve never overtrained with this and after a two month lay off I came back and just lifted bigger. Maybe that is my age or that I’m not lifting particularly big yet. I lift 400 lbs on the deadlift, so I’ve not been in your situation. My problem is getting in the gym enough. I often leave gaps that I could have been a lot shorter and progress faster. Curls: I have a similar problem with barbell curls. An e-z curl bar helps me a lot. Also, when I’m in some gyms I can use a biceps machine one hand at a time and that often feels comfortable. Plus you can use both hands to pull it into position then let go with one. This also doubles the effective value of the weight stack. Hi Sal! Nobody said you’ll work your way to 4,000 lbs, all humans have structural limits to what they can support. People don’t make progress every workout because they make basic, dumb mistakes with their training. There is no natural or biological law that prevents steady progress. Yes, it will not be linear progress, it will vary with many factors, but that’s why we should adjust our training frequency. When you do that your progress can be consistent. I do exactly what Pete describes with the machine curls and it has been the best exercise (for me) to add mass to my biceps while taking tension out of the wrists/forearms. Plus, you can really isolate them as your body is held steady in the machine. I’d add also that if reduction of body fat is one of a person’s main goals, they really need to focus on diet. Recent studies have shown that diet is responsible for over 80% of weight loss rather than cardio exercise. Cardio still has all the health benefits that have been documented, but the notion that one can “run off” their fat is not supported by the evidence. Mixing a good nutrition plan with regular cardio and SCT will result in reduced fat, more muscle, and much greater health and well being. I bought your book and I hate to tell you I can’t “completely” buy in, Not yet anyway. but you want to be the living proof of how your system works but you don’t look like you even train with weights, I’m not saying that to be mean, you just don’t. I’m sure your very strong in your static holds but that’s not all i’m looking for in my training. I am currently making good progress with the system I’m using and it works for me. in my full range training, if it does that would be nice, But even if it doesn’t the fact that I can even unrack loads that I couldn’t at a much younger age is GREAT for motivation. I know you think me terribly misguided. I hope somewhere in here you decipher a compliment to your training, There is one here, albeit, maybe slightly back-handed. Hi Pete, the trouble with SCT is that I know I can spend more time on the couch now. Dec 23 2009 I pressed 230kgs then got super slack and didnt visit a gym for a long time-however in 2011, after just 2 visits back to gym I am back over 200 kgs already and will start measuring my time off in a more structured way.I forgot about the arthritic aches I used to get before SCT and so I went to the Dr, then while I was there the “penny dropped”.The pain is less already and i know it will probably disapear again so a good reason to stick at it.I will definetly need the rest time off as I was pretty spent after the work out on Sunday. So in 14 days Ill do some heavy stuff again and go heavier again.Its quite funny watching the faces of people as I warm up and start stacking up the weights. The more weight that goes on the bar the more they look away and then peek from side on.I love it, because i am 49 years young and have grey hair.Once people understand getting their rest periods right it will just blow their mind as to how strong they are actually getting and holding good shape for longer.The only downer I found is the constant frowning from Gym staff(personal trainers) as they see the amount of weight on the bar-not one of them has understood, and then the disbief when I used to say “see u next month”.I am going to invest in a pair of those gloves as the bar does give pain with the weight now plus I curled over 150kgs and know for certain where my goals are for the curls. I used STC for about 2 years and documented signifigant gains in strenght but not size. I ran into a problem with the leg press i was doing one leg with about 1200 lbs thats all that the machine could hold. Do you have any suggestions how to increase the intensity on the leg press when more weight can not be added? Thanks. If you’re already doing one-leg and your total weight is now 2,400 lbs then I have no good ideas to get you to 3,000 lbs (assuming you’re already placing a loaded barbell on the weight sled) so you and the rest of us have to wait for the digital SCT machine to be released to the market. Congratulations on getting so strong! Overtraining is often mentioned but what about undertraining? for example……..
With SCT lets say someone spaces 2 weeks between every workout then takes a year off. When they return to SCT would they carry on where they left off with 2 weeks between workouts or would they start again with training frequency eg a workout every 3 days until they stopped making progress the 6 then 9 then 12 then 2 weeks etc. We know that we need to give ourselves time to recover and grow the new muscle! but once that is done what about the other factors affecting whether we make progress or not? Im thinking of things like being mentally tired,the time of day you choose to workout,what sort of mood you are in and other things, I train in my garage and I notice better results in the summer than in the winter due to the cold. Any advise on minimizing the outside factors that could make all the difference between reaching a personal best and falling 20 lbs below the last workout? There are too many “outside factors” (lose a job, divorce, having teenagers. Haha.) That’s why you just watch your numbers. That goes for your previous question – train as often or not often as you want to – just make sure your numbers are going up each time. I have been at 860 lbs on the leg press for the last 2 times. I have been at 6 days between exercises but the last A and B were 7 days apart. Everything goes up except for the leg press, the next session for legs would be 14 days from the last one. Should I seperate the leg press for a seperate schedule, perhaps hold it off for an extra day? Remember that some people train once every 4 to 6 weeks. Add three more days off. Your muscle won’t disappear in that time, believe me. It’s so ironic that a gym manager will walk right past the guy doing weak range maximum lifts with an exaggerated range of motion and then tell the guy moving a heavy barbell two inches while inside a power rack that he is “risking injury”. Did I say ironic? Sorry, I meant stupid beyond belief. This is a very interesting think you bring up here, Pete. When people lift things outside of the gym they don’t try to do so in the “weak ranges”. Think about when you move furniture, or anything “heavy”. I know I made a post on here recently, in favor of “isolating” muscles. I wonder if this is really a step in the right direction? When we lift something “heavy” outside the gym , or exert alot of force, we don’t do it in isolation. Kinda makes me wonder if you wouldn’t get all you would need from maybe just a strongest range leg press, chest press or overhead press, and a pulldown or row. Would one really need to do “isolation work” for the forearms, biceps, triceps, abs, etc. I guess my point is, when in everyday life or sports do we use any muscles in isolation? When would you use your torso muscles without your limb muscles? When a high level of stength or force is needed it ends up being a total body effort in a leverage advantaged range. What happens when you go back and realise you needed more rest as you aren’t going up in most exercises? When do you next go back in? Say your gap has been 6 days, now you realise that is too soon and you’ve tried every exercise and they ain’t going up. So when do you next go back in to do that workout you’ve hit a plateau in? Wait another six days or go back in a day or two, or something else? Hi Pete – I’m 51 and in overall excellent health and shape. I did the first ten SCT workouts within just over 4 months, and increased my max weights on the exercises between 30-200%. I find the lifting hooks help especially with the shrug and deadlift. I don’t necessarily want to “break the rules,” but I’d like your input on my “SCT A & B Remix.” I have found it easier to alter these somewhat so that my A workout is pulling exercises and the B is pushing exercises as such. Thoughts? Thanks! Bill, weightlifting has been hugely influenced by bodybuilding. Bodybuilding has a preoccupation with symmetry in the body and that is where the emphasis on isolation of smaller muscles came from. There is nothing really wrong with developing perfect symmetry and paying attention to smaller muscles, but it’s also true that nobody was ever hospitalized for having weak forearms or biceps.
. . . so you’re careful to replace electrolytes after a workout. Smart. Sorry Pete, you don’t seem to have understood my question. I’m fine with all that you’ve said. I just never see instruction for the next exact action when you ARE in the gym and have not improved on most exercises. What do I do then? I’m walking out of the gym thinking, ‘now when do I come back?’. If my gap has been six days before this workout, then when is my next workout after I’ve worked out I need more rest. Is it in two days after this workout so I know have a gap of 8 days. Or is it that I’ve just done another workout and need to come back a full 8 days away from the workout that did not go up in weight? I hope I’ve made it clear what I’m asking this time. Thanks. Yea I see what you’re saying. On one hand I can see where the more “functional” advocates are coming from. On the other hand I can see where the “isolation” school of thought is coming from as well. What I was suggesting in the above paragraph would be beneficial but probably wouldn’t allow one to “fully” develop all the muscles. Probably best to try to work as much of the body as possible with the most precise amount of resistance for that particular muscle or muscle group. Which of course takes isolation exercises. If working multiple muscle groups simultaneously does as some say, “releases more growth hormones”, this is still happening with some so called isolation exercises. As you and I both know some isolation exercises still involve other muscle groups. It’s the latter: “I’ve just done another workout and need to come back a full 8 days away from the workout that did not go up in weight?” The reason is you could also come back in 3 weeks and have an improved workout. Most people are fixated on how SOON they can come back to the gym. That how mistakes are made. The reality if you are a lot safer by giving yourself more time off. Muscle takes a long time to disappear from the body. The guy told me that he’s been a trainer for 20 years and trained football athletes,cyclists,etc etc and not one of them has trained like this. Also that if I do bench press with a heavy weight (that I wouldnt be able to do in full range) even in a short range motion, I can tear my tendons. He also said that if I train in “this short range motion”, then I can only get stronger in that range and I’ll be “as weak as feather” when I try doing full range. But what I believe is, after reading your books and articles, that if I can build muscle by lifting in that range, why do I need to prove to anyone how much I lift in full range? And quite frankly if say, I can lift 220 pounds in my strong range but can only lift 50 pounds in full ROM, I dont really care. Because at least I can build muscle effectively and efficiently lifting 220 pounds in my strong range rather than lifting 50 pounds in full ROM. Besides I am not participating in a strongman competition, so I dont need to lift full ROM. Thank you very much Pete for making me understand. Good for you! Congratulations. Any chance you can do leg presses instead? Guys, just to reinforce what Pete tells us all the time, remember that rest is one of the most important components to SCT. I am at 30 days, give or take 10 days, sometimes I will go two months. I am at my weight goals now. It does not happen overnight, and not in a straight line of improvement. In other words, it has happened that a subsequent workout was not quite as good as a previous. Most people freak and think they waited too long. Relax when you rest, don’t stress about the next workout. Your body will remember the load and adjust, and you will get stronger. Honestly, the hardest part for me for the past 3 years or so, is finding what “else” I like to do besides lifting. Things like cardio activities and stretching. The strength is there and it will be for you too. It’s hard for me to know whether to agree or disagree as the advice seems vague. It’s certainly true that if, for example, you want to throw a baseball faster you should spend a lot of time doing that “activity”. But throwing a baseball would not be a good way to add a lot of skeletal muscle. SCT is about adding skeletal muscle. Thanks. You helped me clarify my answer. The suggested exercises were based not on specific activities, but as part of an overall goal of getting in better shape and was really about building strength and stamina,( for specific activities), which is clearly what my Train Smart protocol will help me do. Another interesting story there, lol. Yeah 220 pounds = 100 kilograms, I do Bench Press PFT with that weight (I know it doesnt sound impressve at the moment). While I love efficiency, I also enjoy working out. In addition, I felt I pay good money when I go to the gym so I dont really want to just use one SCT lift on all exercises lol (For biceps and abs I do SCT beta, everything else I use PFT alpha). This question is specifically directed to you as I am a new comer and need to hear your advice first before anyone confuses me. Have been used to spending 5 days in the gym and like the taunt feelings of my muscles. Now 53 and just started SCT. I like exercising so what do I do with the other days since SCT promotes less days at the gym. How do I maintain the taunt muscle feeling since a couple of days after doing the 10 exercises my muscled “feel” like they have not been worked. Hi! It sounds like your #1 priority is to be in the gym everyday and to not let your muscles get a rest. Which is fine. But if you want your muscles to get bigger and stronger than they are now then you have to choose between not giving them rest and giving them rest. I can only help you if you want to do the latter. I’m 10 years older than you, E, but have somewhat the same problem. I like that ‘pump’ sensation. I’ve also only just begun using SCT a couple months ago or so. First, so far as I can tell, Pete is right. If you want growth you absolutely have to build recovery time into your workout schedule. Exactly how much time is something you’ll have to discover for yourself using Pete’s system. Basically, if you can’t hoist more weight this time over last time, you didn’t recover long enough. One of the things I’ve been doing is using SCT according to Greg’s instructions but then also doing some full range motion work using far less weight, one set of 6 to 8 reps to failure and then a static hold for ‘burn’. This gives me the sensation I like. HOWEVER, I have to forewarn you that doing this seems to increase my recovery time between SCT sets by a matter of days. I’m still experimenting with this for myself so can’t say conclusively yet but so far that seems to be the case. I’m beginning to think that what I’m going to have to do is reorient myself to a different kind of workout routine and different kind of sensation. For example, doing SCT for strength development and doing body weight routines (no iron) for ‘sensation’, balance and refined motor skills. For some this could be Yoga or Pilades or dance, swimming, martial arts or what ever sport excites you. I want to add something to what I was saying regarding “a different kind of sensation.” In my limited experience so far, the after effects of an SCT workout “feels” different from other workouts. I don’t know how to explain it. In a way it is as if nothing has happened. I don’t know if that makes sense but I think this is the “new” and “different” sensation I’m going to associate with working out with SCT from now on. Makes perfect sense to me, Mike. It’s something the 3-days-a-week crowd will never experience because they return to the gym too soon to break personal records every time. Too bad for them. Another layer to that need to hype oneself before SCT is a shear fear of catastrophic failure. I never imagined that my aging body could ever hoist a 500 lb weight period, but after a couple of years doing this and two run-ups to this level, here I am due for 510 lb in the partial dead lift next outing. Where’s the limit?? I wish I knew in advance – that day I wouldn’t bother to go. AT 71-1/2, all my associates tell me I’m nuts. Still, this is more of a rush than any thing in the past. I have heard other folks on the blog curious as to what to do with their “non” training days as they start to get farther apart. Per Greg, he enjoys cardio and Martial arts. I swim. However, only during what I call “swim season”. Once this time of year arrives, I swim and snorkel several times a week at the beach. Well, I had my first swim today and this is after practicing SCT protocols for about 6 weeks now. I was absolutely blown away at how strong my crawl was!!! I felt as if I had been practicing for months! My arms/chest were much more powerful and so were my legs!! It was a bit mind boggling at first as I could not tell where the power was coming from since I have been dormant with the swimming. Then I realized hey I am lifting much more weight than I had in many, many years thus resulting in more muscle and power! Bingo! I truly believe that SCT does transfer to sports and recreational activities. This is awesome! Excellent! And how could the extra strength NOT show up in another sport? That, I dare say, would be a miracle. Haha. I was working out 1 x a week.This past week I tried pushing 425lbs. from 400lbs.I could not do it.I tried 410lbs,still could not do that.This may be a stupid question,but does this mean I should drop to 1-2 x a month now?I have been using the beta training for 6 weeks. (4×5 seconds).I do not know if that was too much for me,and kept with the alpha training.I have been doing static training for about 5 months or so.I am probably due for more rest days.I am probably answering my own question.I know I have read your articles and e-books enough to know my answer.Am I right to back of training frequency to less often now?Thanks,Pete,for your advise and time. Thanks again Pete,that is good news! The other aspect not commented on is the weight increment. 400 up to 425 is an ambitious bump, unless you are a guy who used to throw a lot more than that around. You have the rest of your life to do this, right, and there is a practical limit to human muscle tensile strength that you really don’t want to find. Fortunately, the usual result if you load too much on the bar is that it just won’t move. Still, the stimulus for growth was impressed on your system, and you should be stronger next outing, given enough time for complete regrowth. So if it were me, I would make the increments more modest and plan on growing stronger into your 70s & 80s. We really do need to do this for the rest of our lives, if lifelong fitness is our goal. Mr.Pete Sisco, is there an alternative exercice for shoulders (deltoid muscle) apart from shoulder press, that you would recommend? I understand that shoulder press makes one become bulky and the shoulder’s bones larger. I would like to know an exercice that focuses on the deltoid muscles. There are other shoulder exercises but I’m curious about your statement that the, “shoulder press makes one become bulky and the shoulder’s bones larger.” Are you saying that only this exercises does that? Are you hoping to find a shoulder exercises that does not affect the shoulder muscles or shoulder size? I am 34yrs old and,I do know this is a life long thing,Thank you any ways for your input though.I started doing my increment jumps 1 x a week with 20-25 lbs at a time.I know that as you get stronger=more rest=more size and strength,etc.This is all I was confirming with Pete.I also realize that our body’s will reach their genetic potential one day and we cant progress forever,leaving to maintenance training.Pete had already answered my questions though.He is the expert and trained many clients. Please excuse my ignorance sir. I understood. Thank you for your time. I have a 15 yr old daughter who plays basketball. She is 6’1″. She has the very real potential to play division 1 basketball someday. Even though she is very athletic….her strength has not cuaght up to her frame. She is still growing as well. I would like to help improve her vertical jump as well as her overall strength. She has been tested by Nike and has official SPARQ results. I would like to see how her results change after strength training. Which of your programs would be best for her??? Lee, you can have your daughter start out on the regular static contraction workout. I use that workout myself and the functional strength gains that I’ve made are amazing. This workout will help give your daughter better jumping ability and more strength for when she has to go underneath the basket. I bought your e books & was the best investment I ever made. Feb 4, 2011 was my SCT start date. I started with 630 lbs on the leg press and on March 25th I pushed 1000 lbs. I’ve never been happier. My biceps seem slower, 70 to 85 lbs, (dumbbells), but still it’s progress. Oh, and I added a hold for my forearm at 70 lbs February 4th, and on April 17, did 85 lbs. Is it kosher??? Have a question about the triceps, (close grip press). I went from pressing 400,, down to 380 lbs. So not being happy, I went to a triceps push down machine, and did 200 per arm. Didn’t quite understand ?? Guess I’ll have to wait longer. Does it take longer for muscles to rebuild at age 61. Is there any scale?? 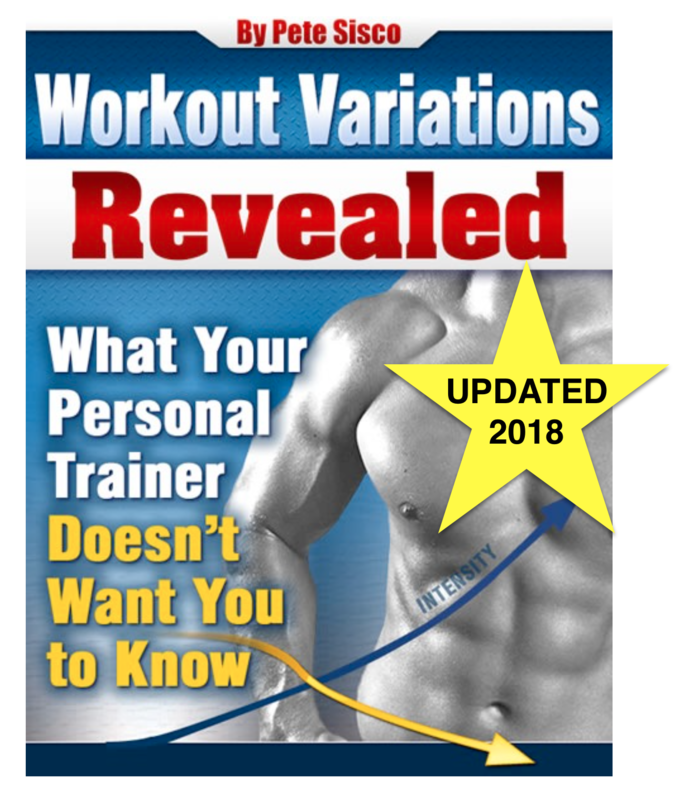 I have a question: I have a static contraction machine (XF), and not only do the base exercises that are listed prominently on this site, but developed exercises that I do for every direction of wrist movement, ankle movement, rotator cuff, trunk twisting, … to work out every muscle group I can think of. The thing is, some muscles appear to be recovering slower than others. This means that, other than a nightmare of tracking my next workout, just figuring out which exercises I need to be doing during a day is a problem. Is there an easier way to track all of this? Do I need to track al lof this? Yes, I don’t want to overtrain, but I also don’t want to give up things like my rotator cuff exercises, or my ankle exercises, and tracking what exercises need to be done when is a bit of a problem. Can you offer a solution? Well, if you really want to do 46 different exercises you need to track all of them. Otherwise you are blind. It’s normal to have muscles grow and recover at different rates. You’d never get 46 muscle groups to gain in unison. The best tactic I know is to break down the workouts into splits. In your case, perhaps 6 different workouts of 7 or 8 exercises would do it. Many of the muscles you mentioned are relatively small and will not create a huge drain on your body’s recovery so 8 per workout should be fine. I worked out for 10 yrs doing the usual 4 sets per exercise/2 exercises per muscle group/4 days a week, but spent most of that 10 yrs not progressing beyond the first 6 mths. Two yrs ago i started training each muscle group once a month, and my muscles have exploded in size/strength. I increase the weight/reps in every workout, and lift with ease. If only i had discovered this way of training years ago, i would have avoided yrs of overtraining. I would also have had far more muscle size at an earlier age (am 40 yrs). THE LESS TIME YOU SPEND IN THE GYM, THE BIGGER YOUR MUSCLES GET, AND THE STRONGER YOU BECOME !!! Forgot to mention that i now do only 1 or 2 exercises per muscle group, and only 1 set to all out failure. I then get out of the gym, and watch my muscles grow ! James, that is excellent! I am just curious as to what your split looks like now especially training each muscle group once per month. I appreciate you sharing your techniques. Whether a person does SCT, PF, or any other type of strength training, the recovery has to be there. You were one of the lucky ones who figured that out. Do you also dabble with the partial ranges? That has been such a breakthrough for me and my training partner. I bet if you did do strong ranges, your strength would continue to skyrocket! Every set is done to all out failure, and once i reach 15 reps, i put the weight up by 5 kg. I haven’t dabbled with partial reps, except for when i attempt my final rep on each set – that one is always an incomplete rep. I don’t bother with specific arm exercises as the arms get worked enough with all upper body exercises eg. Pressing exercises the Triceps, Pulling exercises the Biceps. This workout requires a full month to recover and grow, and can only be done in a gym that has loads of heavy weight. Some gyms don’t have enough weight stack for this type of training. I have used free weights and cable, and get pretty much the same results from either. I don’t waste my money on suppliments, as a normal balanced diet is all you need. Glad you are making progress, James, but you are doing some lower-intensity exercises. When you hit a wall you can’t get past you might want to try the exercises in the Train Smart or Power Factor workouts. James, thanks again for sharing your information and workout. It is unfortunate that so many cannot wrap their heads around training this infrequently. You are testimony that using the right amount of rest allows you to continue to make progress injury free (hopefully, anyway). Best of luck to you! I am a woman and just learning about static contraction. Pretty excited about it as I workout at my home with weights 5 days a week. I am interested in purchasing your ebook, but am wondering if this new workout sysytem will work at home since I only have a hand weights and a Hoist fitness machine. Jacki. there isn’t a way to cheat the physics of needing heavy weight to force change in your body’s muscles. SCT needs them and so does every other strength training method. Those hand weights will not transform the look of your body – if they are fairly heavy they might change your biceps and forearms a bit. Just noticed that those commenting are mainly male and have previous weight use experience. I have never really used weights and have always participated in classes, yoga, pilates etc. However, I came across this SCT using the Tony Robbins Get the Edge programme. It all sounds very intriguing. I genuinely would love to become stronger physically and mentally, for a whole host of reasons. I have a child who has cerebral palsy and feel I am struggling with moving and handling and have to really get healthier. I am beginning to suffer from arthritic pain mentioned in other posts. Although I am intrigued I am wondering how safe this method is for a complete novice. I would be grateful for any information. Unfortunately I am not up on the gym jargon either. Hope someone can advise. So much appreciate you taking the time to respond. Pardon my ignorance on this one! Your workout should be 10 days after the previous workout. So if you train on a monday, it would be the following wednesday. Would doing workout A and B (workout A followed by workout B) on the same day be fine as well? You can, but what will you do when 7 exercises improve and 3 do not? Pretty soon you’re back to a split routine so you get enough rest. I’ve just switched to working out once a week from this week, but have a holiday coming up, where I will be away for 2 weeks. This would be my 7th workout/4th week of SCT (going great so far with muscle tone and fat loss), should I just squeeze both workouts again this week (even though we are told not to after 6 workouts), or should I just do the one and not worry about the extra time off for the other workout. Once I get back, should I stick with once a week or could I go back to working out twice a week (workouts A and B in one week) as I’ve had extra time off, until I feel the need to change? Thought this might be a valid question, as many people must think this when they are going away for a while..
I’ve trained for almost 7 months now, and here is my experience so far. My last two workouts (A & B) I lost progression in three exercises and I was resting 15 days between workouts. So what I did was adding more resttime (added 50% more rest) which equals 45 days rest from workout B to next workout B. Then something happened, from barely making 350 kg with one leg the last time (2 seconds) I hoisted and held that mother for the full 5 second count! While crying out “yes!” several times, hehe. Same thing happened with my back exercise aswell, by barely holding 250 kg for 2 seconds, I held it for the full duration of 5 seconds! and it felt awesome! Would never ever have managed this weight without the 1toonhooks, for sure! This all happened with just adding 15 days of more rest time! I have to add that I’m just 179cm long and weigh 76 kg and touched weights for the last time 8 years ago (and it was the traditional way which I hated! Which also didn’t last very long either). This is to let you know size does not matter and the condition you are in. I’ve started training for 7 months ago and I’m only doing SCT, and nothing else. But if you throw in some low intensity training you probably feel even better, and that is what I will be doing soon. SCT is an exciting workout! It sounds like you want to train as often as possible. Your numbers determine how often you can train. If they are improving you’re fine. Your frequency is ALWAYS a moving target – expect to make changes. I am following the Power Factor Workout for almost half a year now and seeing good progress (I participated in one of your recent studies as well). I am 45 years old and in good shape and have really started to enjoy my trips to the gym – but only going once every 10-14 days is too far apart for me. How can I keep doing the PFW and train about 2 times a week (weight train – no cardio)? Every workout we do takes time to recover from. The stronger we get the more total weight we can lift and the more time we need to recover. Starting out, your workouts might only require lifting a total of 5 tons. After a few months you might be lifting 40 tons per workout. That takes time to recover from. To really understand this issue it might help to think of asking the question; ‘how can I get my hair to grow faster?’ You can’t. Hair growth takes time. Muscle growth takes time. That’s not to say you can’t go to the gym and do some other activities, it’s just that those will add to your workload and increase your total recovery time. As long as you keep track of your numbers none of this is a problem. Just make sure your numbers go up on every exercise during every Power Factor workout. I train every 7 to 12 days, sometimes, every 18 days. My comments are about rest periods and other exercises I do. They are not intense, but , my muscles work with some level. They are a kind of isometrics workout. How might it add load to my trained muscles(SCT)? Normally exercises with light weights don’t make much impact on recovery. If you’re getting a benefit, keep doing what you’re doing. Just watch your numbers on your big lifts and you’ll know if you need to add some extra recovery days. enjoying my workouts again, and making real gains. Thanks. Thanks, Lawrence. Welcome to the sunny side of the street. Which builds muscle mass better? Static Contraction or Power Factor? I want to buy a 1 rep gym but that’s going to take a while. How do you determine when you should have rest days? I bought the Power Factor Workout and finished the 7 x 3 workouts. I see progress, but how do I exploit the “sweet spot”? Now I know where my maximum PF and PI is, but do I have to decrease the wait and set for more reps? But if you had energy left at the end of the set, increase the weight next time. If you had to stop before the time was up, decrease the weight (a little) next time. You’ll soon hit your personal Peak Power. I train once 10 to 12 days. SCT. What I do is to keep hold longer. A tottal o 10 exercises. 1 minute holds. Maximum. I added more seconds after some comments at a high intensity forum. I have done SCT for 8 years or more. I gained strentgh but not much muscle. Do 1 minute holds work better than 15 secs? To build both muscle and strentgh. I keep resting periods from 10 to 15 days. Despite being a lifetime HIT/HDS advocate, from 1978, the one aspect I tried to ignore was the importance of rest days. But this year I decided I had no option, so I started to interspace more rest days between workouts and the results have been remarkable! Two of my best gain periods have been from Mike’s CR, once weekly per A and B workout (Mike took a month to talk me into it). And one 6 exercise SCT workout once weekly. Both delivered substantial size and strength gains, but my addiction to exercise kept me trying to overlook the obvious need for R&R. I presently HIT each muscle every 12 days, and not only do I feel great (no niggling aches) but I look thicker also…last month I gained 5.5#, + 1/4″ chest and forearms, with other muscle gains and a waist loss. Closing in on four decades of training, this is substantial!! Hi, i currently (and will always) concentrate on partial range deadlifts 1 rep sct. I believe all the stimulation/gains you need can be developed from this exercise alone. that said i’m currently taking approx 6 months off the deadlift for recuperation and will continue approx. aug. 2017. i’ll be 51 in may this year and last deadlift cycle took me from 180kg to 315kg over the course of 3 months, 5 workouts DL only. previous best being 230kg bacck in 2009 with a much shorter ROM (3″ as appposed to the more recent 8″) in aug i’ll shute for 400kg+ returnig to a 2″ ROM. i have no doubt in my mind that i’ll achieve and surpass this #. the biggest factor in all of this progress is recuperation, ie. longer time off between sessions; 2,3,4 weeks and more. time off together with intensity are by far the most essential ingredients when it comes to lifting. it’s taken me 30+ yrs to realise this. thanks pete and good luck to all. BTW i’m dabbling with much lesser (fluff) exercises until my next dealift cycle….Db incline bench, ez bar curl and perhaps one arm Db swing to overhead with a partial press. these are done just through interest and to keep active and to use my garage gym. by no means do i expect nearly as much overall progress compared to the deadlift and i’m sure will not significantly detract from recuperation. there will still be at least 1 week rest between exercise which will be performed seperately and a max of 10 or so minutes lifting per session. will take 3 to 4 weeks off completely before starting the DL. am looking forward to the gains in August. I have just run a training program. Day 1. Benchpress and Push up in 2 super sets then 2 sets wide Pull down. Day 4. 1 set of squat and 1 set of 20 reps leg extensions. Day 7 – 1 set Hex bar deadlift 20 reps. then 9 days off. I have lost 40% of the strength by not training. Why ? . I am 76 years old. I jog a mile three days a week, and Work on the 7 major muscle groups – abs, lats. trapazoid, pecs, biceps, triceps, deltoids. Some full range and some not. Is it too late for me to increase strength and muscle volume? Bob, I work with many guys in their 70’s. And they only stick with me because they see objective, measurable progress.